This section will document some of the nastier creatures encountered during your travels as a tribute to your courage and valor. Here you will also find some general information, tips, and tricks to combating various enemies common throughout the multiverse. Rakshasas are a type of evil outsider. They are powerful sorcerers and, although they disdain physical fighting as ignoble, can be dangerous in close combat as well. 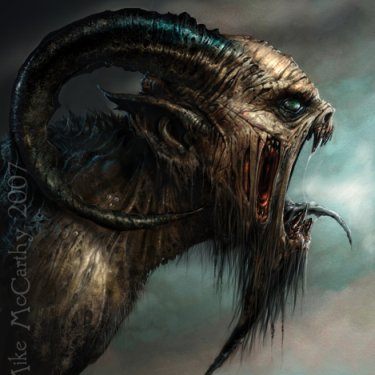 As malevolent spirits encased in flesh, rakshasas are virtually immortal. If slain, they wander the world as tormented, bodiless spirits for days, months, or sometimes years before reincarnating in some random spot. It is said they can only be permanently slain with blessed weapons that pierce their hearts. They produce a new generation every century to replace those rakshasas who have been slain in battle. There are one to three rakshasa females (known as rakshasi) for every one male. Females raise rakshasa young alone, alternating doting praise with harsh discipline. 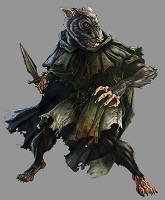 Hobgoblins are a fierce humanoid race that wages a perpetual war with the other humanoid races. They are intelligent, organized, and aggressive. 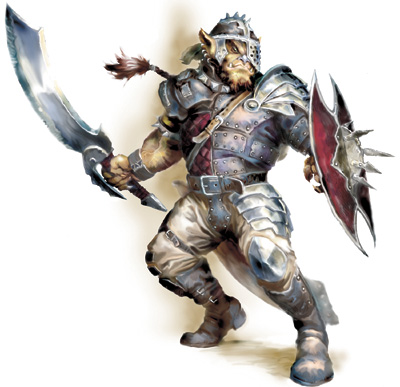 The typical hobgoblin is a burly humanoid standing 6½' tall. Their hairy hides range from dark reddish-brown to dark gray. Their faces show dark red or red-orange skin. Large males have blue or red noses. Hobgoblin eyes are either yellowish or dark brown while their teeth are yellow. Their garments tend to be brightly colored, often bold, blood red. Any leather is always tinted black. Hobgoblin weaponry is kept polished and repaired. Hobgoblins have their own language and often speak with orcs, goblins, and carnivorous apes. Roughly, 20% of them can speak the common tongue of man. Otyughs (Aw-tee-ug), also known as the gulguthra, are terrifying creatures that lurk in heaps of dung and decay, waiting for something to disturb it. 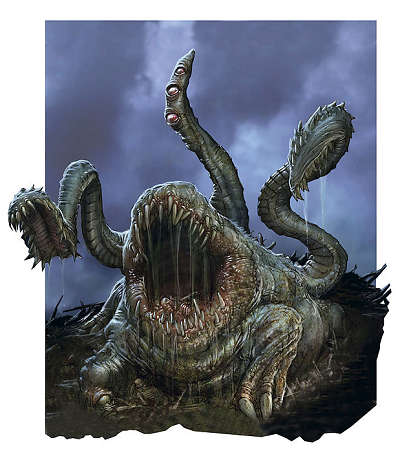 They feed on dung and wastes from other dungeon creatures (gulguthra means ''dung eaters'') but also enjoy an occasional snack of fresh meat. Otyughs have huge, bloated bodies covered with a rock-like skin that is brownish gray in color, which is in turn covered with dung. They stand on three thick legs that give them slow ground movement but enable them to pivot quickly. They have three eyes on a leaf-like stalk that moves quickly from side to side, enabling them to scan a large area. The eye stalk is also a receiver/transmitter for their telepathic abilities. Otyughs have a huge mouth with very sharp teeth in the center of their mass. They also have two tentacles with leaf-like ridges that they use to smash and grapple their opponents. The tentacles are covered with rough thorn-like projections. 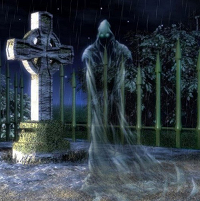 Ghosts are the spirits of humans who were either so greatly evil in life or whose deaths were so unusually emotional they have been cursed with the gift of undead status. Thus, they roam about at night or in places of darkness. These spirits hate goodness and life, hungering to draw the living essences from the living. In many cases, a ghost can be overcome by those who might be no match for it in combat simply by setting right whatever events led to the attainment of the ghost's undead status. For example, a young woman who was betrayed and murdered by someone who pretended to love her might be freed from her curse if the cad were humiliated and ruined. In many cases, however, a ghost's revenge will be far more demanding, often ending in the death of the offender. Sea zombies (also known as drowned ones) are the animated corpses of humans who died at sea. Although similar to land-dwelling zombies, they are free-willed and are rumored to be animated by the will of the god Nerull the Reaper or another similar evil deity. They look like human corpses that have been underwater for some time; bloated and discolored flesh dripping with foul water, empty eye-sockets, tongue frequently protruding from between blackened lips. Their visage and the stench of decay surrounding them are so disgusting that anyone coming within 20 feet of one may become poisoned. On land, drowned ones move slowly, with a clumsy, shambling gait. In water, however, they can swim with frightening speed. 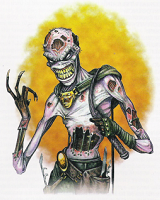 An inquisitor might easily be mistaken for a zombie or other undead creature. Often, nearly half its flesh has rotted away, exposing tendons and yellowing bone. Many inquisitors wear black hoods; those who don't display foul-smelling mucous dripping from their eyes and mouths. The inquisitor wears tattered pants and shoes, but no shirt or gloves. Its hands are charred from years of using red-hot implements of torture, and thick, yellow nails poke menacingly from its fingers. One is seldom encountered without its whip in hand. These short, wiry, disgusting lycanthropes thrive in the sewers and back alleys of large cities. The are not renowned for their strength but do possess formidable cunning. Like all lycanthropes, they have susceptibility to certain weapons, but this can vary from individual to individual, for example, one might be more heavily damaged by a silvered weapon than another. It is also rumored that they can transfer their lycanthropy through their weapons as well as their claws and bite. 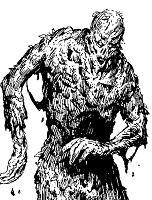 The bog mummy is a nasty undead villain found in any swampy region. When victims fall to the swamps, their corpses are preserved through the natural action of bogs or swamps until they are somehow animated through evil magic. They then rise from their watery tombs to lay claim to victims of their own. Tanar'ri (teh-NAH-ree) are residents of the Abyss. 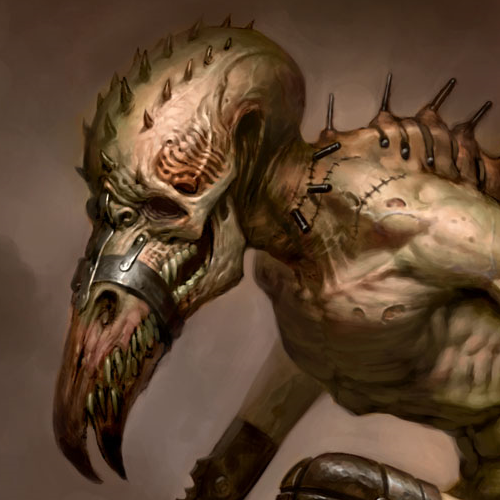 They are one of the most prominent races of the Lower Planes, and feature heavily in the Blood War. Least tanar'ri: Manes, Dretches, Jovocs, Rutterkin. Lesser tanar'ri: Alu-Fiends, Cambions, Armanites, Maurezhi, Colchiln, Succubus, Incubus, Yochlol, Bar-lgura, Bulezau, Uridezu. Greater tanar'ri: Nabassu, Chasme, Babaus, goristroi, Palrethee, Wastrilith, Arrow demons. True tanar'ri: Vrocks, Jariliths, Kelvezu, Hezrou, Glabrezu, Alkiliths, Mariliths, Myrmixicuses, Sorrowsworn demons, Nalfeshnee, Balors. Baatezu (bay-AT-eh-zoo) are the ruling race of Baator's nine hells. Most are created from lawful and evil petitioners, but some rise fully formed from Baator's twisted mathematics. Female baatezu are sterile, so they cannot reproduce their own kind through breeding (although half-breeds are possible). Baatezu are the spirits of corrupt and murderous governments, evil military dictatorships, and ruthless lawyers made flesh. Often they are scaly and gargoyle-like, although some are beautiful to mortal eyes. They seek to ensnare the entire multiverse in their despotic vision of Law. 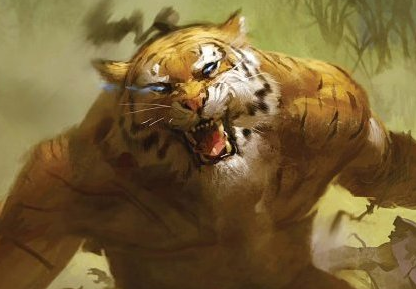 They endlessly war with their archenemies, the Tanar'ri. Most baatezu can manifest powerful illusions. The gith (they refer to themselves as “The People”) are a group of natural outsiders, descended from humans enslaved by the illithids. The gith are divided into two different races, the githzerai and githyanki. Additionally, there are gith who went their own ways after the gith split. These powerful individualists are not precisely a "race," but are collectively referred to as githvyrik. Long ago, the gith were slaves to the illithids, a race of powerful telepaths who mentally enslaved sentient humanoids to work as the backbone of their vast worlds-spanning empire. It is believed these slaves were originally humans, or perhaps elves, transformed through selective breeding. Eventually, these slaves developed mental resistance to their masters' mind control and, under the guidance of their leader Gith, revolted, causing the downfall of the illithid empire. 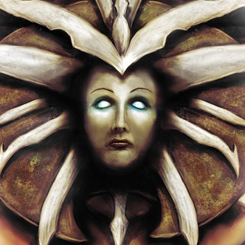 Gith, however, was not satisfied with the destruction of the illithids alone, and sought to spread the war to any race that could potentially enslave her people again. She was opposed in this endeavor by the followers of Zerthimon, who believed that such a path would lead their people to corruption and ruin. Thus, at the Pronouncement of Two Skies, the gith race fractured into the githyanki and the githzerai. Battle was waged on the Blasted Plains, and the githyanki retreated to the Astral Sea while the githzerai withdrew to the chaos of Limbo. 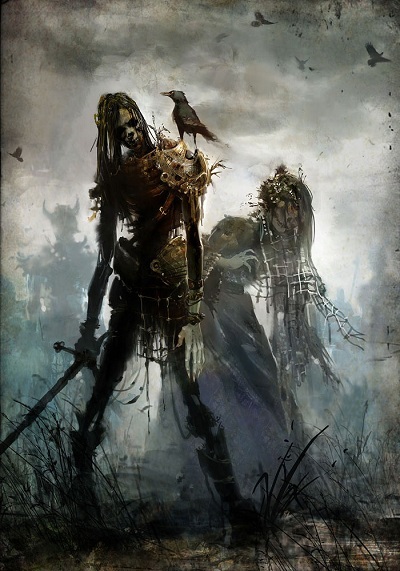 The githyanki hate the githzerai because their betrayal allowed the surviving illithids to retreat to isolated subterranean strongholds; the two races have remained enemies ever since.